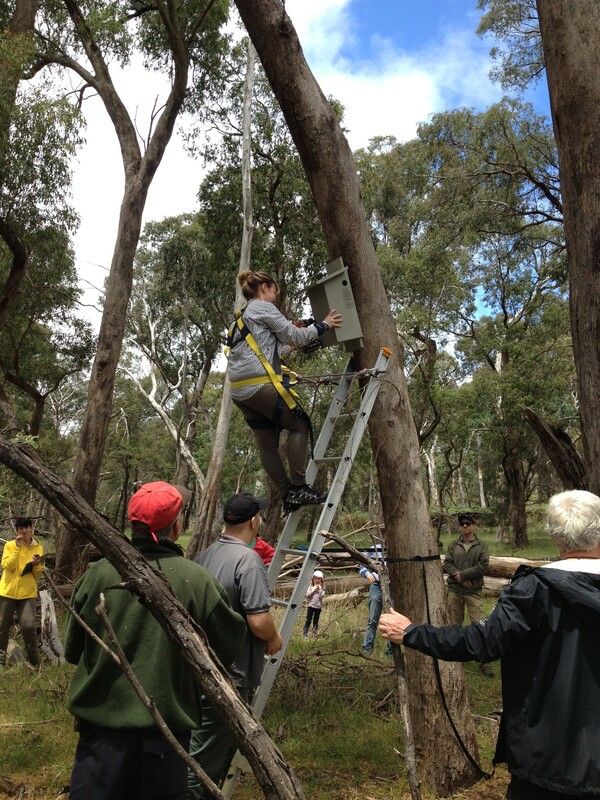 On 6 November a number of us joined the Newham and District Landcare Group to help establish a nest box program at Hanging Rock. Supported by the Macedon Ranges Shire Council, the program targets the area’s phascogales and sugar gliders. 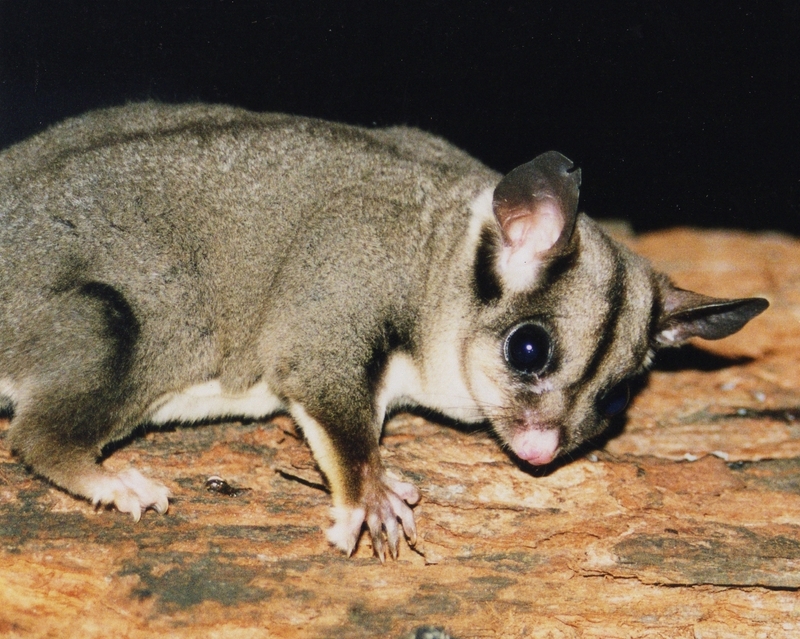 The phascogale (or tuan) and sugar glider are both nocturnal hollow-dependent marsupials. Nesting boxes are a way of providing supplementary habitat for these animals, with a view to increasing the local population. They are also a useful tool for monitoring these species. Council’s Environmental Programs and Education Officer William Terry provided an overview of the project and showed us how to install the boxes and record their details for monitoring, and then we got to work! 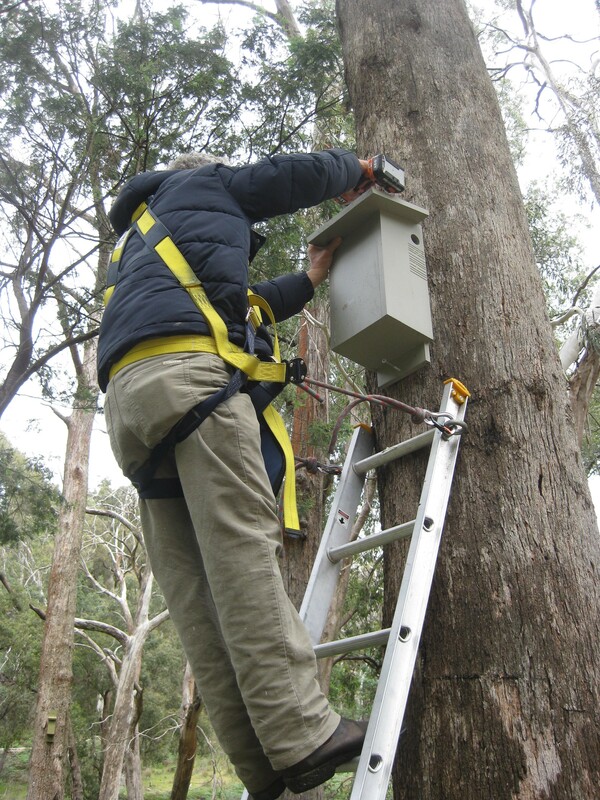 We installed 18 boxes, each of which had to be attached to an appropriate tree, with its GPS coordinates recorded for ongoing monitoring. A big thanks to Newham and District Landcare for coordinating this valuable project, as well as the Woodend Mens’ Shed and Braemar College students who built and painted the nest boxes. For more details on the use of nesting boxes see council’s information page.